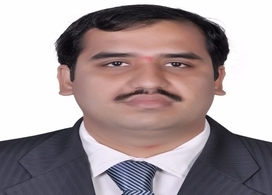 Chandra Prakash is a Chartered Accountant with more than seven years of experience in audit and taxation. He heads the Bengaluru operations of the firm. Chandra Prakash is also a certified concurrent auditor of Banks from ICAI and a Certified Information Systems Auditor (CISA) from ISACA, USA. He has extensive experience in Audit, Taxation, Consulting and Outsourcing engagements. He also has on-going experience in concurrent audit of Banks and statutory audits of various organizations. He is experienced in Income Tax, VAT and Service Tax Assessments.